This week officially marks a return to the real world, with the holiday season just behind us. While we’re well on our way to the middle of winter, we’re already longing summer — or a tropical vacation. 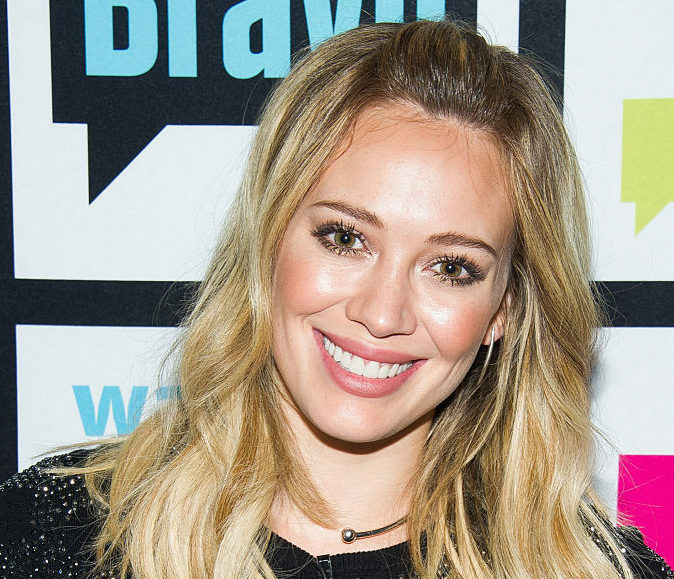 That’s why our favorite Disney Channel icon and Younger actress Hilary Duff had us all jealous by taking a vacation to a very warm climate. While those of us on the east coast were shoveling our driveways, Duff and Co. were sitting poolside, according to Instagram. Speaking of sitting poolside, Duff’s post features an ~amazing~ high-neck bathing suit top and we need it ASAP. While we know we still have a ways to go before it’s officially bathing suit season, it’s never too early to begin looking, right? To take our mind of the blistery cold, we put together some of our favorite hig- neck bathing suits available for purchase, right now. This high-neck bikini top is super cute and comes in blue and black. It comes from Everything But Water’s All Meshed Up collection and comes in a variety of sizes. The suit can also be found as a one-piece on their website. Bottoms are sold separately. This top isn’t super dissimilar from the Everything But Water top, but is perfect for those on a budget. The comfy white crochet top is perfect to mix and match with Aerie’s colorful bottoms. It’s a great staple to have in your collection. This patterned top is totally giving off Blue Crush vibes. The way it’s cut screams surfer and it looks like the perfect top for an active beachgoer. Bottoms sold separately. This top is perfect for all-over coverage. It’s simple and elegant and comes in a few different colors and patterns to add a real pop to your day. It’s perfect for those who want in on the trend but don’t need all the frills. This top will truly make you stand out at a pool party. The metallic color is effortlessly chic, so you don’t even need a pattern to offset it. We’re already filling up our carts with some of the cutest high-neck bathing suits out there. Ugh, summer better come soon!